Modelcollect. 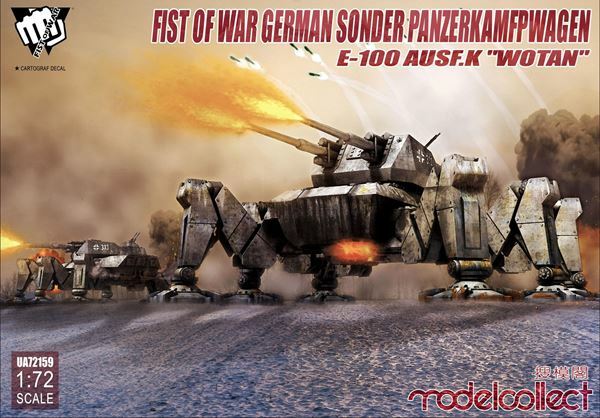 Fist of War German Sonder PanzerKamfpWagen E-100 ausf.k "Wotan"
Fist of War German Sonder PanzerKamfpWagen E-100 ausf.k "Wotan"
the leg joints do not function at all without sanding the male ends. after I sanded them down lightly, the legs worked perfectly. 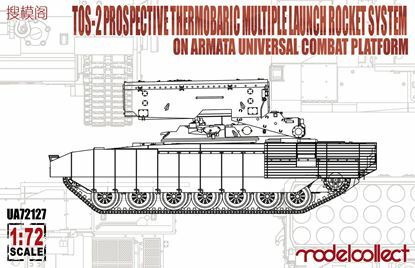 the two secondary turrets do not rotate without incredible force because the female end is just a little too small. I believe they may function better if id sanded them, but I ignored this because they do still function, just that I have to be very careful. the incredibly detailed gun mounting looks very out of place compared to the rest of the kit. as with the other fist of war kit(flak40 zwillings quad walker), there is a huge amount of wasted plastic that could've been allocated to better serve function. the biggest example is in the hip joints. the kit comes with 6 identical runners, 1 for each leg. the bottom section of each hip joint is made to only fit one of two hip bottom sockets, left or right. the front bottom hip section will not fit the middle or the rear, and so on but because the runners come with pieces to allow you to fit any leg in any hip socket(the legs are universal already so there isn't really a point...) are IDENTICAL, there are 12 unused bottom hip joint housings... I cant see them being used anywhere else. this is an enormous waste of plastic. 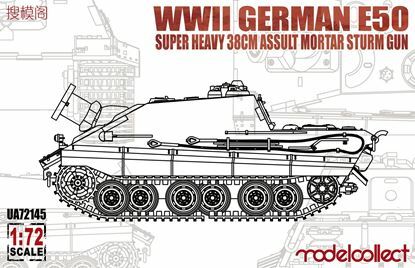 the second biggest waste of plastic is the fact that the kit comes with the exact same runners needed to make the very same turret on the flak40 zwilling quad walker, but because only the guns and the housings are used in the wotan's turret, the entire turret and mounting pieces are left untouched in their runners.there are also slots in which the flak cannon's hydraulic pistons would fit on the wotan's mounting, but the pistons are just a little too big. I used them anyway. the gun elevation is very loose and does not hold any elevated aiming position easily. the seats for the gun crew also collide with the shell loader when in the non-elevated position. this isn't a huge problem, but it is annoying. it is obvious the designers literally slapped the flak40 zwillings guns on this turret's mounting. they fit, but barely. the guns have an insane amount of detail and make the rest of the walker look lazily designed. the boarding ladder does not have a locking mechanism to hold it up, so im using the little 20mm turret's gun as a "lock", but it doesn't function well as a lock, obviously. I should also mention that many of the instructions(with both this and my other fist of war kit) are instructed backwards. it will tell you to put part A somewhere part B fits much better and also looks like part A does in the diagram. this is across only a few parts, but is important not to miss. neither of my fist of war kits came with crew, which would be great to show how absolutely gargantuan it would be in real life. the feet in the purple diagram are angled diagonally to what they are in the model, no feet rotation. it is strikingly underdetailed for something the size of a large house, almost as if they took the legs off a cheap 1/35 scale kit. 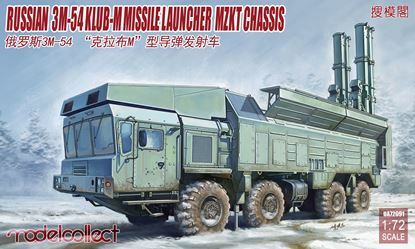 it is HUGE, especially for a 1/72 scale kit. comparing it to my other 1/72 scale kits, it is definitely wider than any of them and can stand slightly taller than my armored core feedback kit when ignoring the hydraulic pistons, but is still half the height, which is still big. the legs can be posed in a few ways and(after the male ends of the joints have been sanded down a little) work incredibly well. i bought it for 39$ on ebay, and i have to say that would be the perfect price. my review would be more positive if the legs didn't have to be sanded down or if the wasted plastic was allocated to be more useful, but its still my biggest mech kit. it isn't the tallest or the heaviest(those records go to the armored core kits) but its still a nice kit. as im a big fan of spiders, i will definitely be purchasing more of these monstrosities.